I'm really excited about how these ending up turning out, especially because I was in such a rush. Definitely need to thank my hubs for pushing me to get this done even though all I wanted to do was be lazy. He is seriously my biggest supporter and I know that's a rare thing so I am very thankful. Aww too much mush, haha. Now in case you may be wondering, the HPB group is short for 'Hobby Polish Blogger' group on Facebook. This group is home to veterans and novice blogger a like and the atmosphere is really friendly and inviting. Definitely recommend joining if you're a blogger yourself. We've been coming together and doing monthly link-ups the last few months and it has been such a fun experience. Start off by painting your nails with a white base, I used Whiteboard by Sinful Colors. Then using the four colors from ORly called Pink Chocolate, Jealous, Much?, Nite Owl, and Bus Stop Crimson I created a distressed look. This is easily one of my favorite kind of manis to do, because there is no such thing as doing it wrong. After I was satisfied with the base, I used stamping plate #55 from Pueen Set 24B-L - Buffet Leisure. Using a gold polish I stamped the image, then using a black polish from Nail Hoot I stamped the image once more. Even though I was tempted to go matte, I ended up sticking to good ol' Seche Vite and giving my mani a shine finish. Be sure to check out the other talented bloggers who participated in this months link up for Fall. I liked the idea that you went it over with the black stamping - effective! Yes, loving this layered fall look! I love this look and I just used Nite Owl in one of my manis. I love that color and it was one of my untrieds! Can't believe I waited so long to use it, Your stamping is beautiful. Absolutely stunning!! I really need to learn stamping! I love this mani so much! It's gorgeous! I love this mani! Gorgeous layering! That is such a gorgeous manicure - you are very talented! I love your mani, this is just perfect ! 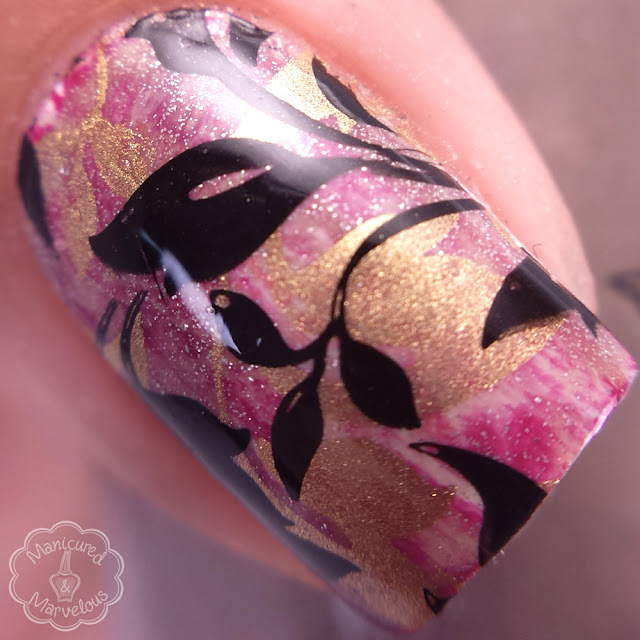 Such a soft and delicate look, yet very bold with the double stamping! This is beautiful!! The colors are lovely together! 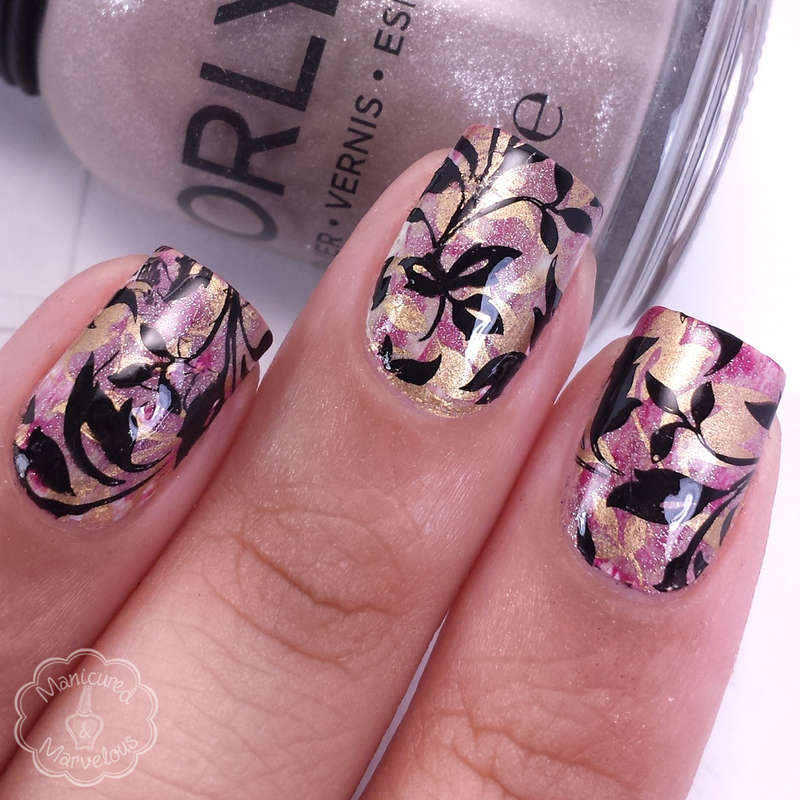 What a gorgeous mani! Lovely! This is stunning. I love all the colors you used. omg I am so obsessed with this! The shades you used are gorgeous together! You all are killing me with these fall leaves manicures! Each one is more lovely than the last. So beautiful! I love the double stamping over this base..so pretty!! Beautiful. 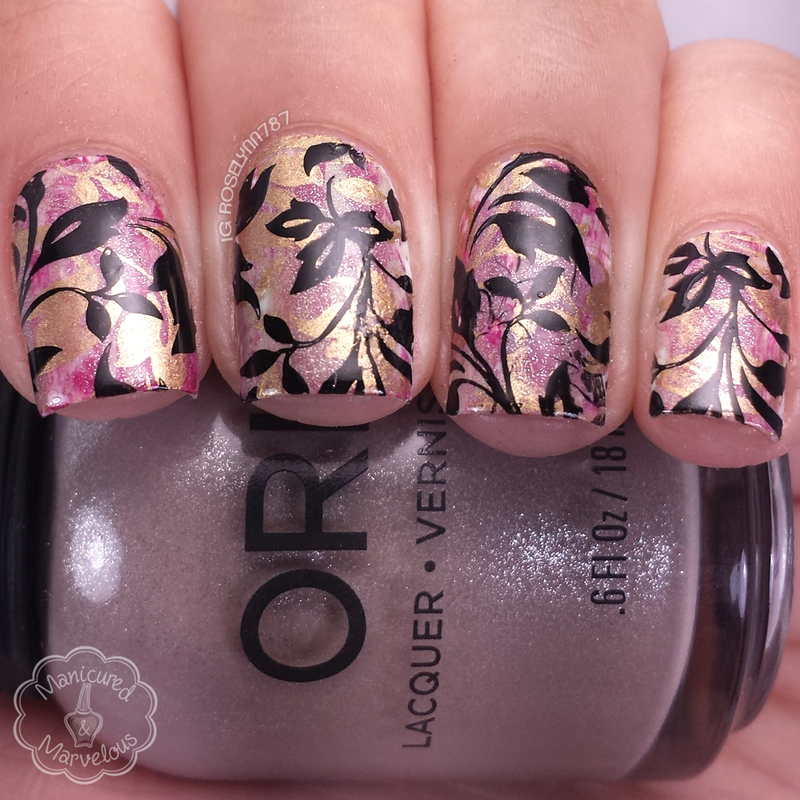 I need that orly! The layering is amazing! This is so pretty and creative- plus th colors work so well together! These are stunning! Very beautiful, wow, loving the colors you used! Oh my! This is my favourite look so far! I love the colours, the double stamping, the distressed base! Everything for real! Awesome job Roselynn! 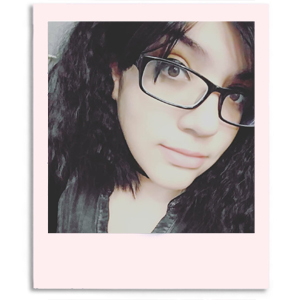 I love how this turned out! 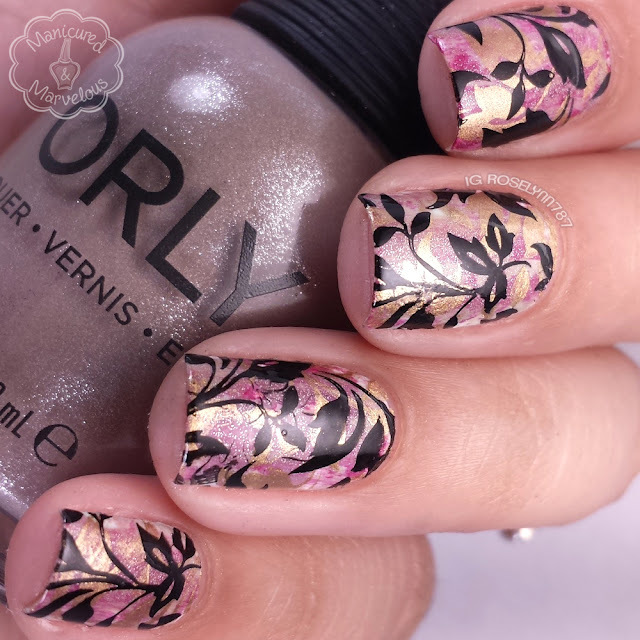 You did an absolutely stunning job with this mani! Gorgeous!